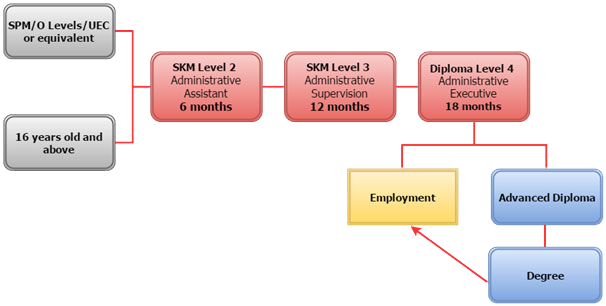 Diploma In Information System Administration is an unique course designed to train and educate trainees to be absorbed into various administration, operation and management roles in both the private and government sector. Objective of this course is also to provide a complete exposure and guidance to trainees in the field of corporate administration and management. The concept of this program is to offer emphasis on practical training and focus on office administration, information system and management skills, which are in line with current industry requirement. Academic PathwaySubjectsDuration of StudyCareer OpportunitiesJob ScopeFor Whom?